Regency at Holmdel is a new 55+ community in Monmouth County, New Jersey. With just 181 attached homes, active adults will be able to mingle with their neighbors easily in this close-knit setting. All homes feature elegant designs and low-maintenance exteriors that are perfect for the downsizing adult. This luxurious age-restricted community is surrounded by plenty of open spaces and natural beauty, providing a quiet and serene environment. Situated in Holmdel also makes it convenient for residents to easily access major roadways, daily necessities, and attractions. The central hub of this 55+ community will be the clubhouse. Proposed plans for the clubhouse include a gathering room and card room, which will be great for social events and fun activities. A fitness center will also be available for residents to stay in shape without having to travel far from home. Outdoors, homeowners will have a heated swimming pool and patio that's perfect for enjoying the summer months. Neighbors seeking more physical activity or friendly competition can utilize the tennis or bocce ball courts. Residents will also be able to take leisurely strolls along the community's walking and biking trails while appreciating the beautiful parks and natural space. Construction of Regency at Holmdel began in 2016 and will consist of 181 attached homes. Active adult homebuyers can choose from five distinct floor plans that range in size from 2,658 to 3,357 square feet. Attached homes have three bedrooms, two-and-a-half bathrooms, and an attached two-car garage. They offer two-story foyers, first-floor master suites, formal dining rooms, elegant master bedrooms, spacious kitchens with granite countertops, and low-maintenance exteriors. Regency at Holmdel will be a vibrant and welcoming neighborhood brimming with activities, events, and clubs for all residents. Homeowners will be able to participate in aerobics classes, book clubs, or card games. They can also relax by the pool, hang out at the clubhouse, or start a new league with friends to play bocce ball or tennis. The options for socialization and recreation are endless in this 55+ community. As the neighborhood continues to grow and welcome new residents, more interest groups and activities will be added that will keep them busy all year long. 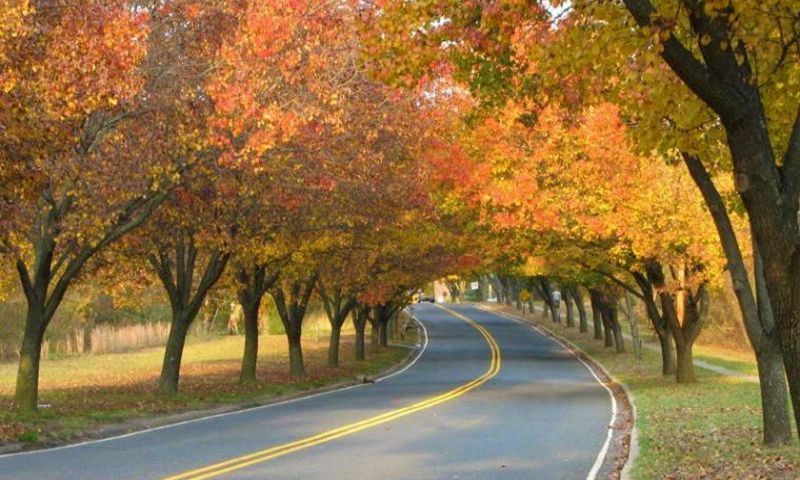 Ideally situated in Holmdel, New Jersey, residents will be close to retail shops, restaurants, and other conveniences. Downtown Holmdel is less than a five-minute drive and offers a bank, pharmacy, gas station, and local eateries. Just a bit farther is Monmouth Mall in Eatontown for additional shopping and dining options. HealthSouth Rehabilitation Hospital is a few minutes away for all of your medical needs. Outdoor enthusiasts will love having several parks in the area including Bob Roggy Field, Holmdel Park, Tatum Park, and Thompson Park. Golfers can play their next game at Due Process Stables Golf Course that's 15 minutes away. Driving across town is easy with the Garden State Parkway nearby. When traveling farther is necessary, Newark Liberty International Airport is just under 40 minutes away. With so much to offer in and around the community, active adults will love coming home to Regency at Holmdel in Central New Jersey. There are plenty of activities available in Regency at Holmdel. Here is a sample of some of the clubs, activities and classes offered here. Construction of Regency at Holmdel began in 2016 and will consist of 181 attached homes. Active adult homebuyers can choose from five distinct floor plans that range in size from 2,658 to 3,357 square feet. Attached homes have three bedrooms, two-and-a-half bathrooms, and an attached two-car garage. They offer two-story foyers, first-floor master suites, formal dining rooms, elegant master bedrooms, spacious kitchens with granite countertops, and low-maintenance exteriors. Please Note: Floor plans are not available at this time. 55places.com is not affiliated with the developer(s) or homeowners association of Regency at Holmdel. The information you submit is distributed to a 55places.com Partner Agent, who is a licensed real estate agent. The information regarding Regency at Holmdel has not been verified or approved by the developer or homeowners association. Please verify all information prior to purchasing. 55places.com is not responsible for any errors regarding the information displayed on this website.